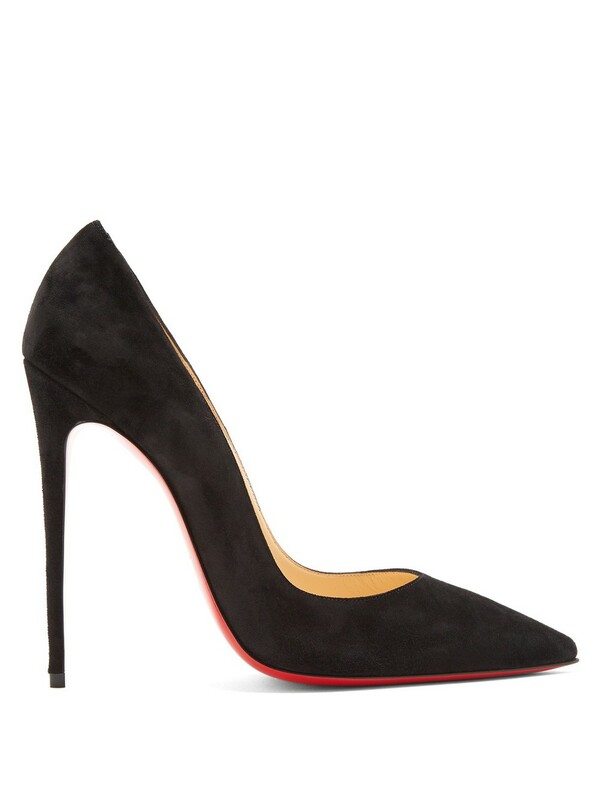 The sensual lines of Christian Louboutin's black suede So Kate pumps have appeal that defies seasonal trends. This Italian-made pair is set on a pin-thin stiletto heel that complements the sharp point toe and features a high arch that lengthens the legs. Consider them the perfect full stop to a vibrantly printed midi dress.